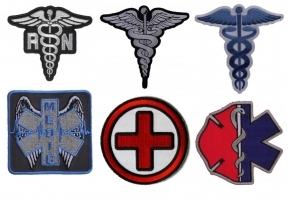 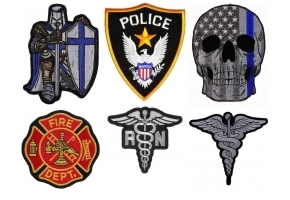 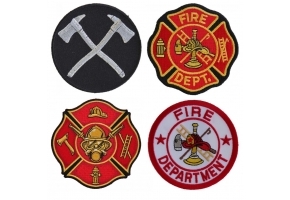 EMT Shield Patch Embroidered iron on backing for easy application Measuring Size: 3x3 inches. 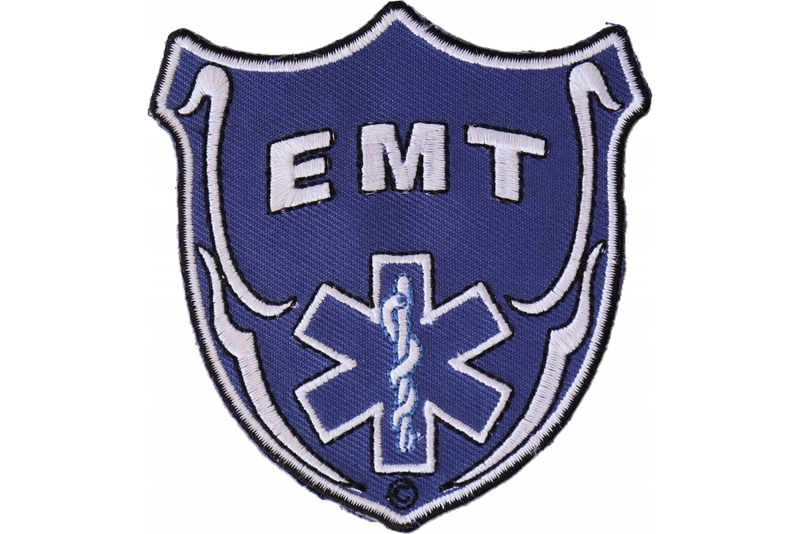 A patch for emergency medical technicians I made up with the snake EMT symbol. 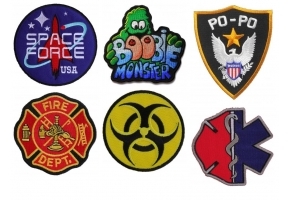 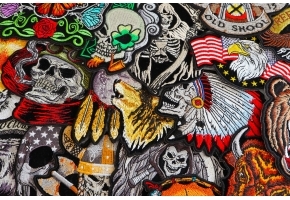 You can sew on the patch or iron it on.